A local building owner needed some help. Along the alley, trash collectors were a little rough when moving the dumpsters around. As a result, the heavy dumpster damaged the back of the building. So, we came up with a sturdy steel rail that will keep future damage from happening. The railing is made from 2-inch steel tube. It reaches across 11 feet. 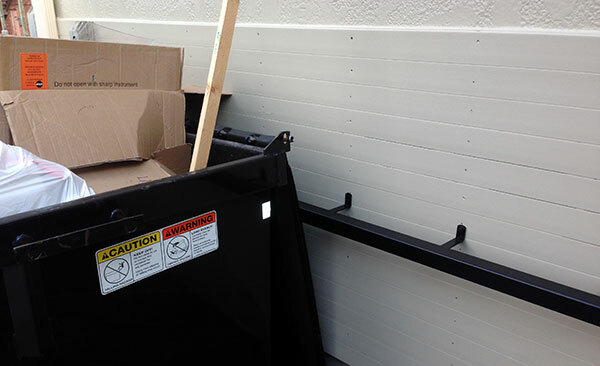 A satin black finish is easy to touch up if the dumpster makes a mark. 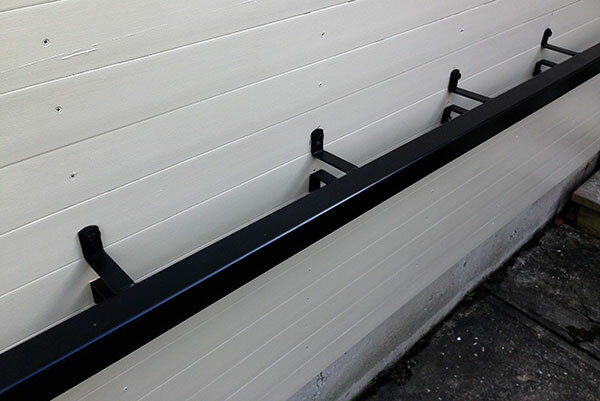 The protective railing has a match in a shorter handrail that is anchored by the back steps. The rails are attached with handy tabs on the top and bottom. So, how does it work? Well, here are a couple of photos with the dumpster. The railing is installed at the perfect height to prevent any further damage.